Air Locker offers brand new, high quality, 1-1/4 inch 16 gauge 15/16 inch galvanized wide crown staples. The Air Locker P25-32 staples work with the Air Locker N5025 Sheathing Stapler. Can also be used with Paslode, Hitachi, Senco & other named brand staplers. They are designed with a special coating to ensure excellent holding power and ease of driving and the galvanized finish resists corrosion, making them suitable for exterior applications. These are great quality staples at an affordable price. Air Locker P25-50 Galvanized Wide Crown Staples.Designed with a special coating to ensure excellent holding power and ease of driving and the galvanized finish resists corrosion, making them suitable for exterior applications.The Air Locker P25-50 staples work with the Air Locker N5025 Sheathing Stapler. Can also be used with Paslode, Hitachi, Senco & other named brand staplers. The Air Locker N819 staples work with the Air Locker MS200A Sheathing Stapler. Can also be used with Hitachi, Senco, Bostitch, Porter Cable & other named brand staplers. They are designed with a special coating to ensure excellent holding power and ease of driving and the galvanized finish resists corrosion, making them suitable for exterior applications. 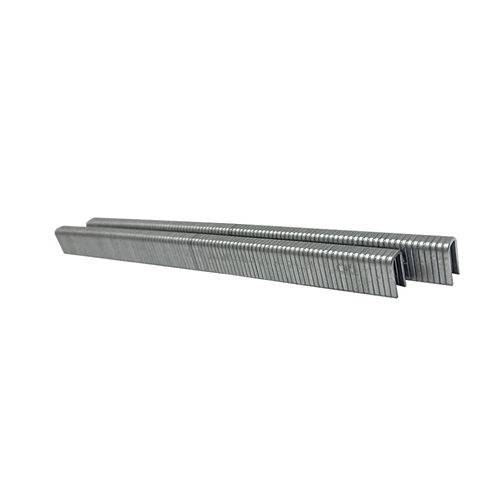 Staples are joined with an adhesive coating that holds the staple together, aids the staple in penetration, and keeps it from withdrawing from the wood. Great for cedar shingles, fascia and soffits, fencing, floor underlayment, furniture, pallets, vinyl/metal siding, crate assembly, sheathing and more. The Air Locker N825 staples work with the Air Locker MS200A Sheathing Stapler. Can also be used with Hitachi, Senco, Bostitch, Porter Cable & other named brand staplers. They are designed with a special coating to ensure excellent holding power and ease of driving and the galvanized finish resists corrosion, making them suitable for exterior applications. Staples are joined with an adhesive coating that holds the staple together, aids the staple in penetration, and keeps it from withdrawing from the wood. Great for cedar shingles, fascia and soffits, fencing, floor underlayment, furniture, pallets, vinyl/metal siding, crate assembly, sheathing and more. The Air Locker N832 staples work with the Air Locker MS200A Sheathing Stapler. Can also be used with Hitachi, Senco, Bostitch, Porter Cable & other named brand staplers. They are designed with a special coating to ensure excellent holding power and ease of driving and the galvanized finish resists corrosion, making them suitable for exterior applications. Staples are joined with an adhesive coating that holds the staple together, aids the staple in penetration, and keeps it from withdrawing from the wood. Great for cedar shingles, fascia and soffits, fencing, floor underlayment, furniture, pallets, vinyl/metal siding, crate assembly, sheathing and more. The Air Locker N838 staples work with the Air Locker MS200A Sheathing Stapler. Can also be used with Hitachi, Senco, Bostitch, Porter Cable & other named brand staplers. They are designed with a special coating to ensure excellent holding power and ease of driving and the galvanized finish resists corrosion, making them suitable for exterior applications. Staples are joined with an adhesive coating that holds the staple together, aids the staple in penetration, and keeps it from withdrawing from the wood. Great for cedar shingles, fascia and soffits, fencing, floor underlayment, furniture, pallets, vinyl/metal siding, crate assembly, sheathing and more. The Air Locker N845 staples work with the Air Locker MS200A Sheathing Stapler. Can also be used with Hitachi, Senco, Bostitch, Porter Cable & other named brand staplers. They are designed with a special coating to ensure excellent holding power and ease of driving and the galvanized finish resists corrosion, making them suitable for exterior applications. Staples are joined with an adhesive coating that holds the staple together, aids the staple in penetration, and keeps it from withdrawing from the wood. Great for cedar shingles, fascia and soffits, fencing, floor underlayment, furniture, pallets, vinyl/metal siding, crate assembly, sheathing and more. The Air Locker N850 staples work with the Air Locker MS200A Sheathing Stapler. Can also be used withHitachi, Senco, Bostitch, Porter Cable & other named brand staplers. They are designed with a special coating to ensure excellent holding power and ease of driving and the galvanized finish resists corrosion, making them suitable for exterior applications. Staples are joined with an adhesive coating that holds the staple together, aids the staple in penetration, and keeps it from withdrawing from the wood. Great for cedar shingles, fascia and soffits, fencing, floor underlayment, furniture, pallets, vinyl/metal siding, crate assembly, sheathing and more. The Air Locker L9016 staples work with the Air Locker NS150A Sheathing Stapler. Can also be used with Hitachi, Senco, Porter Cable & other named brand staplers. They are designed with a special coating to ensure excellent holding power and ease of driving and the galvanized finish resists corrosion, making them suitable for exterior applications. Staples are joined with an adhesive coating that holds the staple together, aids the staple in penetration, and keeps it from withdrawing from the wood. Great for fascia and soffits, molding, cabinets, trim, casebacks, lattice, paneling, drawers, upholstery and more. The Air Locker L9010 staples work with the Air Locker NS150A Sheathing Stapler. Can also be used with Hitachi, Senco, Porter Cable & other named brand staplers. They are designed with a special coating to ensure excellent holding power and ease of driving and the galvanized finish resists corrosion, making them suitable for exterior applications. 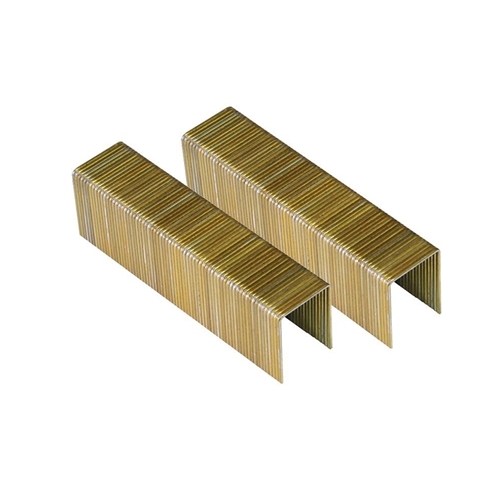 Staples are joined with an adhesive coating that holds the staple together, aids the staple in penetration, and keeps it from withdrawing from the wood. Great for fascia and soffits, molding, cabinets, trim, casebacks, lattice, paneling, drawers, upholstery and more. The Air Locker L9032 staples work with the Air Locker NS150A Sheathing Stapler. Can also be used with Hitachi, Senco, Porter Cable & other named brand staplers. They are designed with a special coating to ensure excellent holding power and ease of driving and the galvanized finish resists corrosion, making them suitable for exterior applications. Staples are joined with an adhesive coating that holds the staple together, aids the staple in penetration, and keeps it from withdrawing from the wood. Great for fascia and soffits, molding, cabinets, trim, casebacks, lattice, paneling, drawers, upholstery and more. The Air Locker L9038 staples work with the Air Locker NS150A Sheathing Stapler. Can also be used with Hitachi, Senco, Porter Cable & other named brand staplers. They are designed with a special coating to ensure excellent holding power and ease of driving and the galvanized finish resists corrosion, making them suitable for exterior applications. 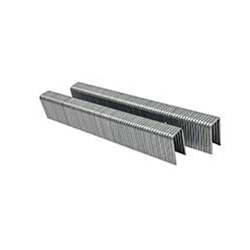 Staples are joined with an adhesive coating that holds the staple together, aids the staple in penetration, and keeps it from withdrawing from the wood. Great for fascia and soffits, molding, cabinets, trim, casebacks, lattice, paneling, drawers, upholstery and more.